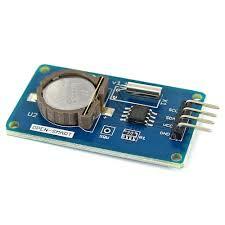 Real Time Clock (RTC) is used for monitoring time and maintaining a calendar. In order to use an RTC, we need to first program it with the current date and time. Once this is done, the RTC registers can be read any time to know the time and date. DS1307 is an RTC which works on I2C protocol. Data from various registers can be read by accessing their addresses for reading using I2C communication. Programming Arduino to feed RTC with current date and time; and reading the date and time from the RTC.